Preheat the oven at 350 degrees F. Sift flour, baking powder and salt together and set it aside. 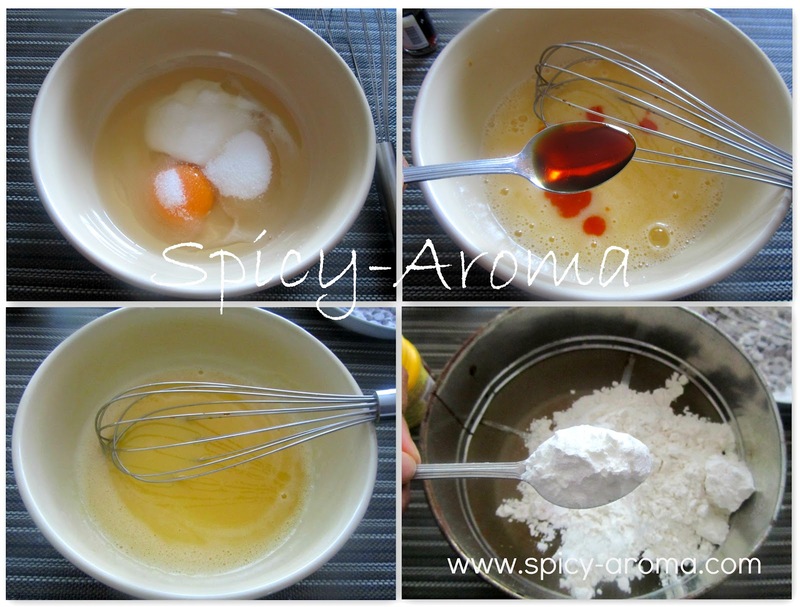 Beat egg in a mixing bowl. Add melted butter, sugar and yogurt. Beat this mixture nicely till sugar gets dissolved. Add vanilla essence and mix well. Now start adding little flour at a time and mix well. 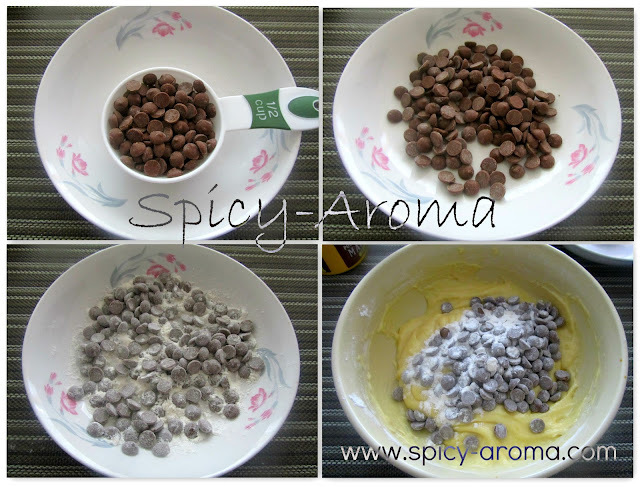 Dust chocolate chips in a 2-3 tsp of flour and add into batter. Mix gently. Line up muffins baking tray with paper cups. Evenly fill the cups with batter. Bake them in a oven for about 20-25 minutes. Insert toothpick at center and if it comes out clean, muffins are done. Let them cool down completely before you serve them. I love the crumbly texture and it looks so soft. 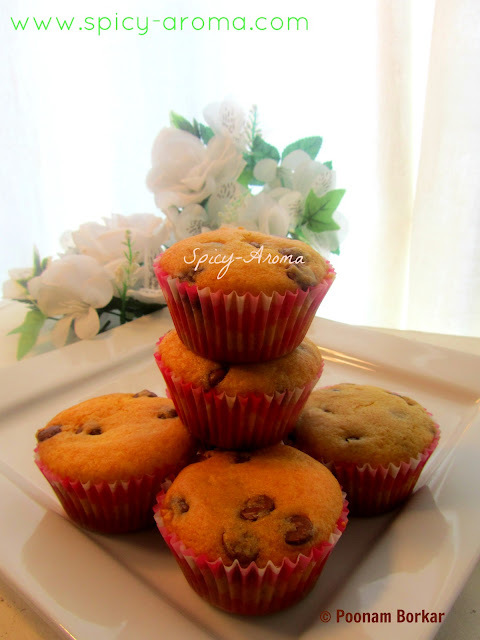 Super soft and spongy muffins.Just love it. Yummy it is, and the clicks are making me crave for it...love the presentation, beautiful job. 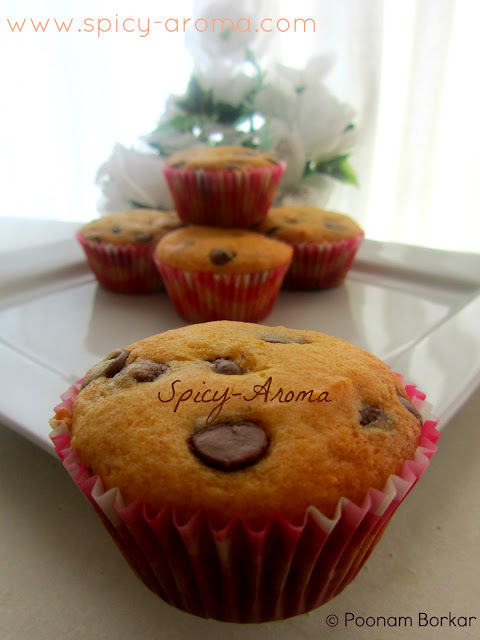 Ultimate combo,muffins looks damn cute. Would not mind having one now. Looks so perfect, nice clicks..
Yummy Muffins Poonam :) Loved them. 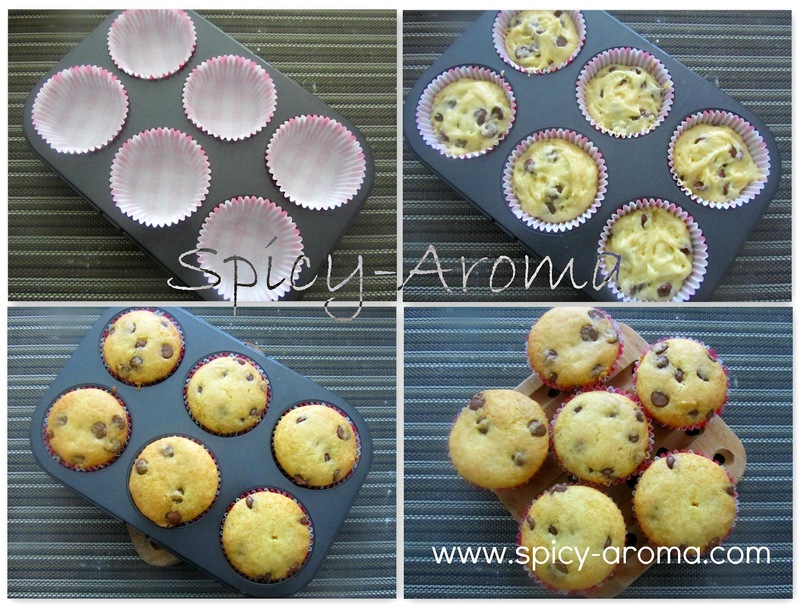 The muffins look delicious with a perfect crumb! 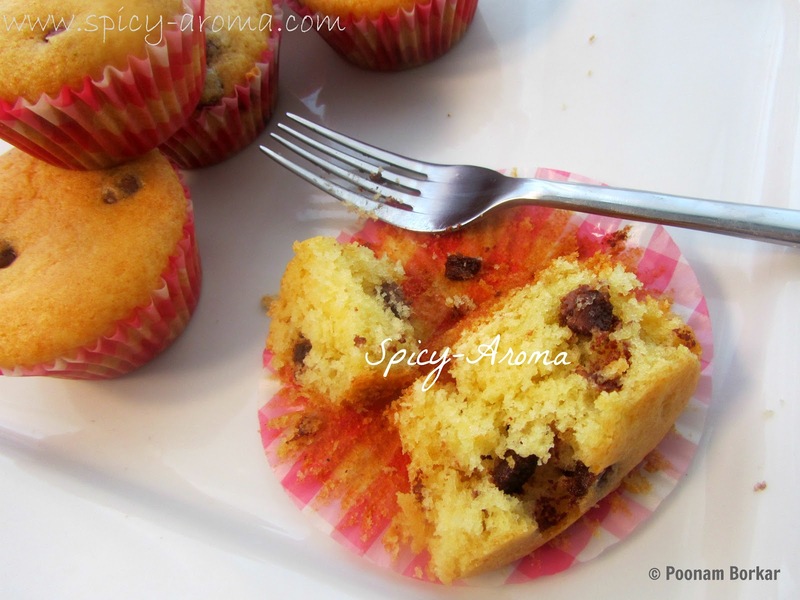 I love that it uses yogurt and has chocolate chips! Delicious! Have a fabulous week! Love the muffin. Scrumptious and perfect! !